More than one million people took to Twitter on Tuesday to call time on President Tayyip Erdogan, tweeting “Tamam” (“Enough”) hours after he promised to step down if “Turkish nation says enough” in the upcoming election. 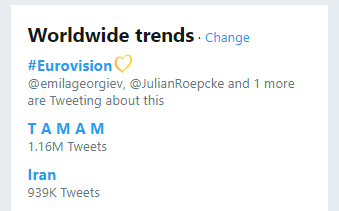 In several hours following his speech, thousands including the presidential candidates from opposition parties took to Twitter to tweet TAMAM, making it a trending topic worldwide after he promised to step down if the people wanted it. Mr. Erdogan has been ruling his country for 15 years now. Last month, he announced snap elections for June 24. T A M A M İnşallah!